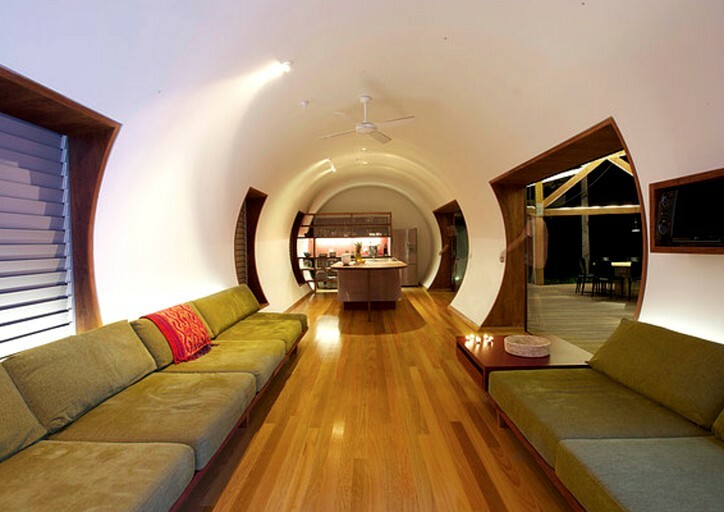 This remarkable eco-friendly pod rental is situated near Springs Beach in Queensland and can accommodate up to six guests, perfect for a unique getaway. 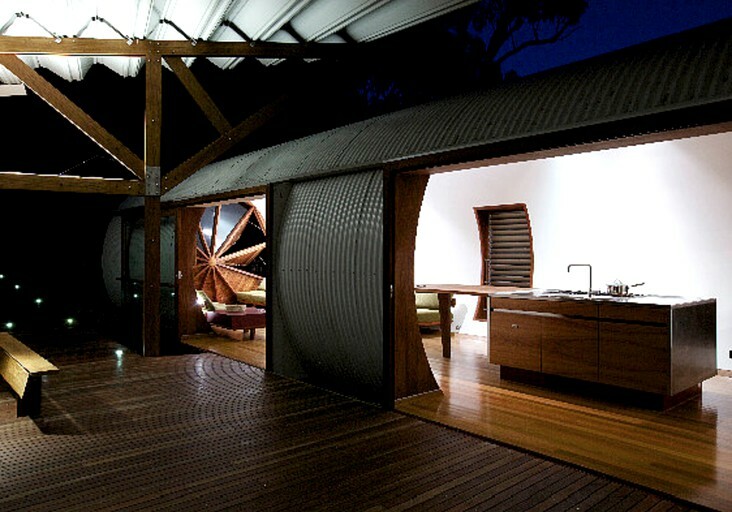 The living area, sleeping pods, and the luxury bathroom are separated for privacy but connected by a covered wooden walkway. The pods feature two single beds and two king-size beds, all of which are appointed with linens. The stunning bathroom has a toilet, a sink, a large walk-in shower, and a stand-alone bathtub. Towels are kindly provided by the host. 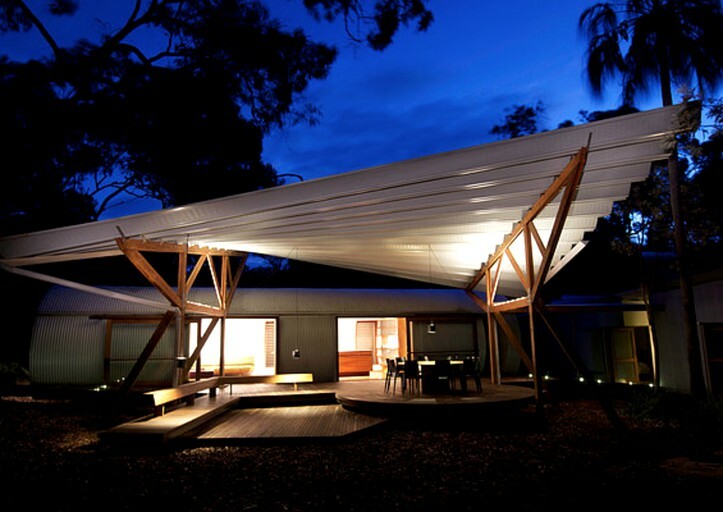 Rainwater tanks, solar hot water, and electricity make this passive energy efficient design a low environmental impact. 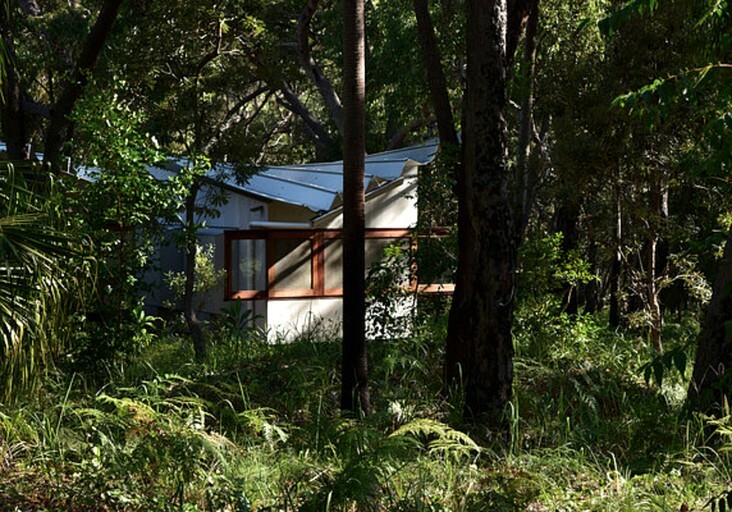 The covered walkway also connects to the kitchen, which is equipped with a stove, cooking utensils, a Nespresso coffee machine, and a cozy seating area where guests can enjoy meals. 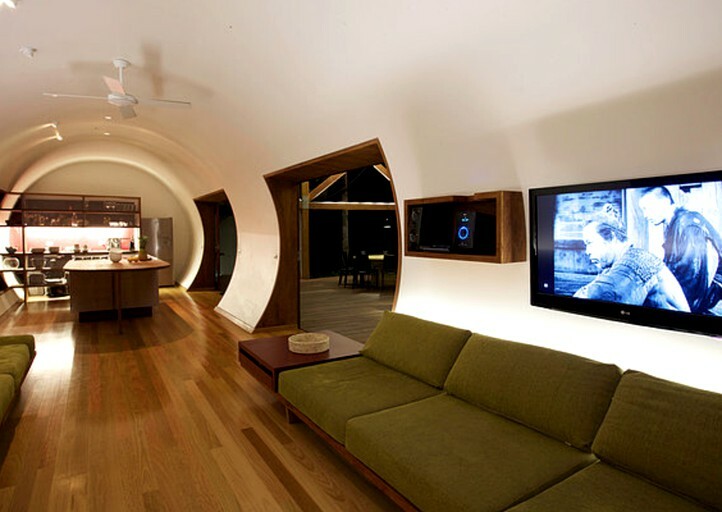 In the living room, guests will find plush green sofas lining the walls, a coffee table, and a TV. 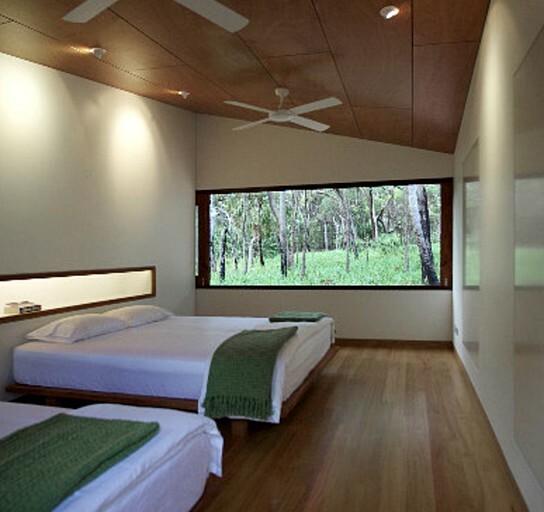 Guests will be able to relax in the natural beauty of this environmentally friendly property while still enjoying modern amenities. Each accommodation features a full kitchen equipped with all of the major and minor appliances guests might need to feel at home during their stay. Guests will have plenty of cozy furniture, electricity, a full bathroom with towels provided, and a TV. Additionally, guests will have access to two club facilities during their stay. There, guests will find two 80-foot swimming pools, a smaller shaded children's pool, tennis courts, changing rooms, outdoor pavilions, barbecue areas, and convenient beach access. With easy access to Springs Beach and Red Rock Beach, numerous national parks, and nature reserves, guests will find no shortage of outdoor recreation to choose from during their stay at this spectacular property. The area is known for its pristine white sandy beaches where guests can kayak or paddleboard on the sea, relax in the sand building castles and searching for shells, or take advantage of the excellent surfing conditions. The Red Rock Walking Trail, Discovery Trail, and Round Hill Creek Walking Trail are all great ways to explore the area's majestic landscape. Fishing charters and services are available nearby as well. Animal lovers can stop by the Horizons Kangaroo Sanctuary for an unforgettable experience getting to know the region's most famous furry friends. 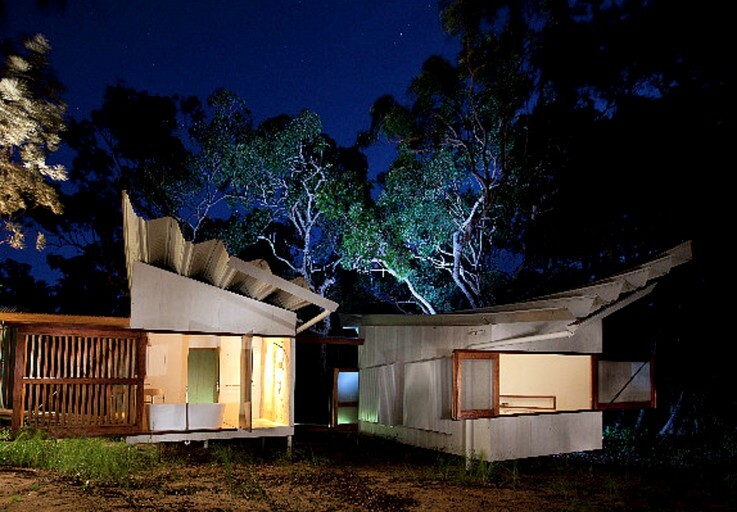 In town, guests can learn about the region's culture and history at the Agnes Water Museum or book a restorative spa service. The Agnes Water Tennis and 1770 Bowls Club are great family-friendly options for entertainment. 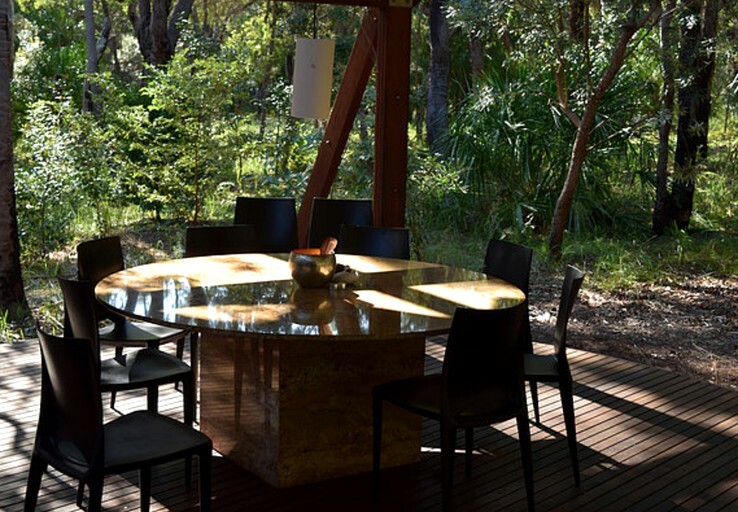 Golfers can head to the 1770 Golf Course, which is set on 68 acres surrounded by local bushland and wildlife. The inviting 1770 Distillery offers a range of delicious fruit-based liqueurs and is a fantastic way to wind down after a full day of adventure. Back at the property, guests will be able to take advantage of the luxurious amenities provided by the club facilities nearby. Guests can take a dip in one of the shared swimming pools, throw some meat on the barbecue grill, or simply enjoy the breathtaking views of the ocean as the sun sets over the water. 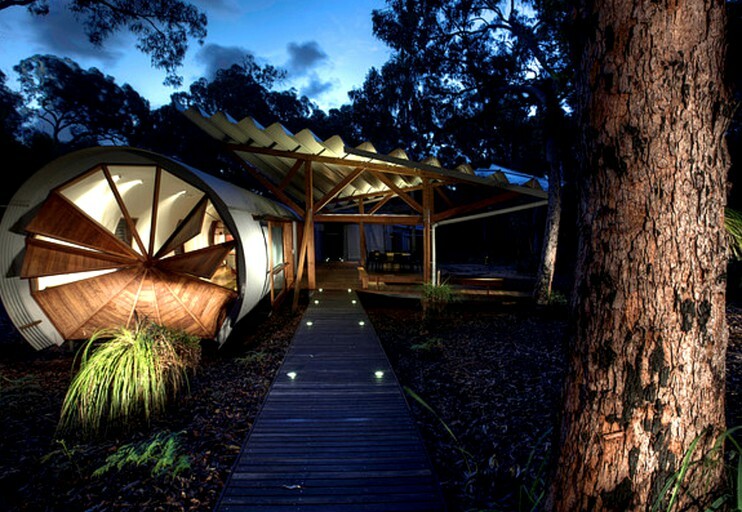 There is something for glampers of all ages and interests to discover during their stay at this wonderful property. Pets and smoking are not permitted on the property.